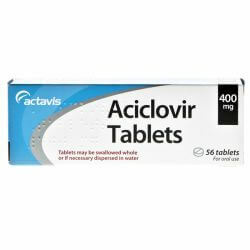 Aciclovir is used to treat viral infections, such as chickenpox, genital herpes, shingles and cold sores. It is also used to prevent the infections in those with a lowered immune system. When taking aciclovir, it is best to drink a lot of water, to avoid dehydration. This is especially important for those who are elderly or have a dose of 4G a day or higher. It is recommended for those with nervous system abnormalities make sure the doctor knows before starting treatment. Cimetidine - These can increase the concentration of aciclovir. Ciclosporin - Doctors may monitor the kidney function. Theophylline - Used to treat those with asthma and other breathing problems. Mycophenolate Mofetil - For those who take high doses of aciclovir at the same time, blood levels of both drughs may increase. Zidovudine - Used in HIV infection. 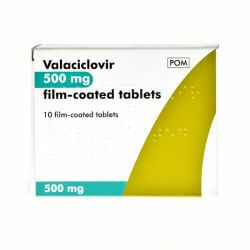 Aciclovir can be bought from OxfordPharmacyOnline. The active substance (the ingredient that makes the tablets work) is aciclovir PhEur. 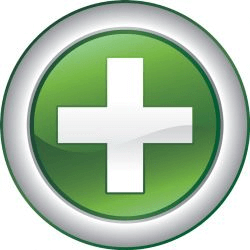 Each tablet contains either 400mg or 800mg of the active substance. 800mg tablets: colloidal anhydrous silica, magnesium stearate, polyvidone, sodium starch glycollate, E460.